We evaluate each job as precisely as possible, and we do everything we can to keep our overhead low - to keep the cost down for you...and we price every project honestly and fairly." It's a pleasure for AED Roofing and Siding to serve the residents and commercial businesses of Norfolk, Virginia. As one of the oldest cities in the Hampton Roads Area, Norfolk is viewed as the urban, historic, financial and cultural center of the region. Did you know that 15% of housing in Norfolk was constructed before 1939, but almost 50 % was built after World War II from the '40s through the '60s. More than 25% include homes built between 1970-1999 and 10% represent newer housing built after 2000. With all of the historic homes in the Norfolk area it is important to keep them in good condition. As a Class A roofing and general contractor we can help when it is time to renovate or restore your Norfolk home. ​We are experts in beautiful home exteriors. As a professional roofing contractor we hold the highest license in the state of Virginia. A Class A Contractor License with Advanced Technical Building Capability. What that means to you is that if we were to find any kind of structural problems, we are licensed to fix that. 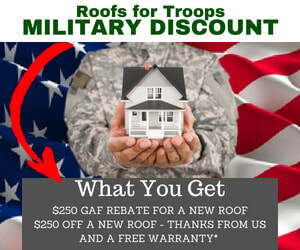 Many roofing companies are not and they would have to call in someone like us. ​We use GAF Timberline® Lifetime Architectural Roofing Shingles for their performance, durability and cost effectiveness. ​The GAF Lifetime System has received the Good Housekeeping Seal! ​We provide Asphalt Roof Shingles that have a 20 - 30 year lifespan, and our vinyl siding comes in many different varieties and can keep the historic look while providing a new and strong finish to your home. We provide a standard 5 year warranty on our labor and up to ten years on labor when you purchase a GAF Systems Plus warranty.